Working with the team at TomorrowTodayGlobal, Graeme develops strategic insights into disruptive change and what organisations need to do to thrive in the near future. He has done so for nearly two decades. Clients that have applied Graeme’s insights have seen significant improvements in their businesses, especially in areas of strategy development and implementation, leadership effectiveness, team dynamics and the application of technology to innovation. Graeme’s international experience and depth of knowledge makes him highly relevant in today’s rapidly evolving business world. Along with his formal qualifications (5 degrees) , research credentials (a number of research awards and four best selling books), he has a wide range of business experience (he worked for KPMG, was involved in an IT startup, and is now a successful entrepreneur). Graeme has been voted ‘Speaker of the Year” by the Academy for Chief Executives and has been inducted into the “Speakers Hall of Fame” of the Professional Speakers Associations of South Africa and the UK and Ireland. He has shared the platform with the likes of Edward de Bono, Sir Ken Robinson, Neil Armstrong and Kofi Annan. 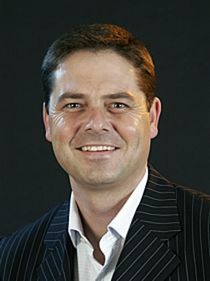 Graeme Codrington is an expert on the future world of work and the disruptive forces that are shaping it. But he doesn’t work alone. Together with the team at TomorrowTodayGlobal, Graeme is able to provide not just keynote presentations and workshops, but also longer leadership development programmes, online resources and bespoke interventions to ensure that his message sticks and makes a real difference to his client’s bottom line. Contact us for more information on Graeme Codrington.